What if this happened to you in the middle of winter? Driving a car or even just being a passenger inside of one can bring its fair share of dangers. There are many things that can happen to us when we are on the road in our vehicles, some of which is out our control. One of the most dangerous situations that can occur is having your car breakdown with no help for miles. This may not seem like a deadly threat but what if it happened to you in the middle of winter? Make it through the dangerous ordeal with these 3 tips for surviving a vehicle breakdown in winter from Western Slope Toyota. Stay with your vehicle. 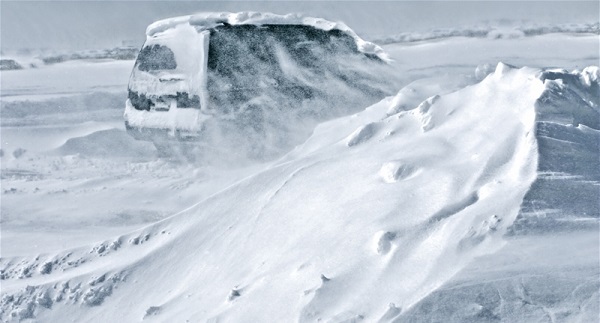 This is the most important of 3 tips for surviving a vehicle breakdown in winter. Staying in your vehicle when it breaks down in the winter gives you many advantages for making it home safe. Your vehicle provides you with a shelter from the cold weather and the elements, like snow and wind. It will also keep you warm and dry which will help you stay comfortable while you wait until help arrives. Turn on your emergency flashers and call for help. Stay warm. 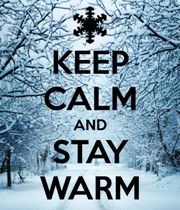 Keeping your body warm is extremely important to surviving a vehicle breakdown in winter. Also, keep your body from getting wet and use anything you can find in your car to stay warm and dry. Your vehicle will offer you the best protection from the weather and is the best place to stay to keep warm. Food and water. When driving in the winter it’s always best to be prepared for the worse. Keep extra bottles of water in your car so you can stay hydrated if you breakdown. Also keep some snacks that can last the couple of months it may be in your car. Pack foods like beef jerky, dried fruits, nuts and any other packaged food that won’t go bad. Remember these 3 tips for surviving a vehicle breakdown in winter and you will have no problem making it through the potentially dangerous vehicle stranding. This entry was posted on Monday, February 3rd, 2014 at 8:00 am	and is filed under Tips and Tricks, Winter Driving. You can follow any responses to this entry through the RSS 2.0 feed. Both comments and pings are currently closed.